The Mahindra Roxor is an old soul in a young body. This ain’t your friend’s Polaris RZR; it won’t rip through sand dunes or land 40-foot jumps, and it doesn’t want to. This is off-roading at its essence, from a time when men were men and Jeeps came with machine guns strapped to the roof. If you’re looking for the ultimate modern side-by-side experience, like what you get from a YXZ1000R or RZR XP, the Mahindra Roxor isn’t for you. 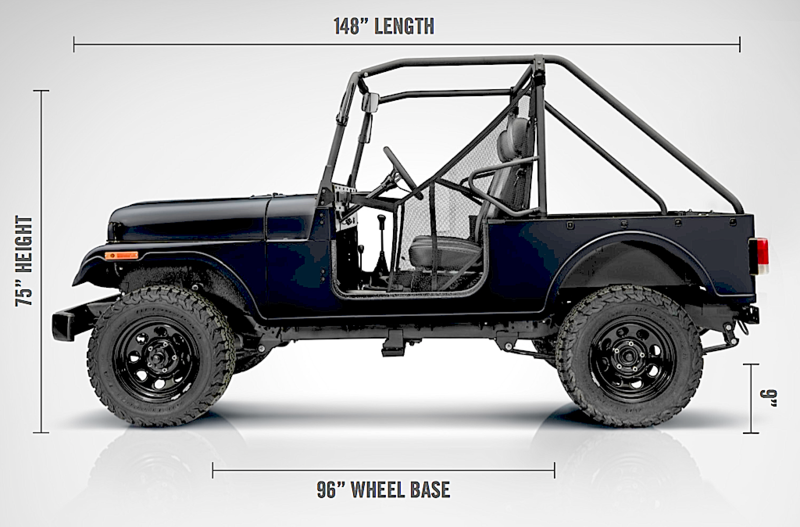 But if you’ve always wanted an old Willys Jeep for trails and climbing, or just to cruise around town in, Mahindra will gladly save you the 10 years and $50,000 of restoring an old rust-bucket. The Roxor is chock-full of modern technology under the skin, and that skin is a classic Jeep body we all know and love. But wait a second… who is Mahindra? Where did the Roxor come from? Why is it classified by the US Government a UTV? And the question on everyone’s mind: can you make a Mahindra Roxor street legal? Probably the biggest question you have about the Roxor is whether or not it’s a cheaply-made pile of garbage. Rest assured, it’s actually a thoroughbred off-roader with nearly a century of experience in the field. Mahindra is an established Indian automobile and tractor company. Though you may not have heard of them, you’ve definitely heard of their subsidiaries: B.S.A. Motorcycles, Peugeot Motorcycles, and the world-famous coachbuilder Pininfarina. Mahindra has been around for nearly 75 years and is a regular on the Fortune India 500 list. So in the parlance of today, Mahindra is legit af. They’re well-versed on building cars as well. They began producing diesel engines for Peugeot in 1979 and manual transmissions and transfer cases for Kia in 1982. They’ve sold their own passenger vehicles for decades, and they opened a manufacturing plant in Detroit in late 2017, which is a pretty likable thing to do in my book. Since the 1940s Mahindra has assembled Jeeps for local markets on behalf of the manufacturer (Willys, AMC, and others). 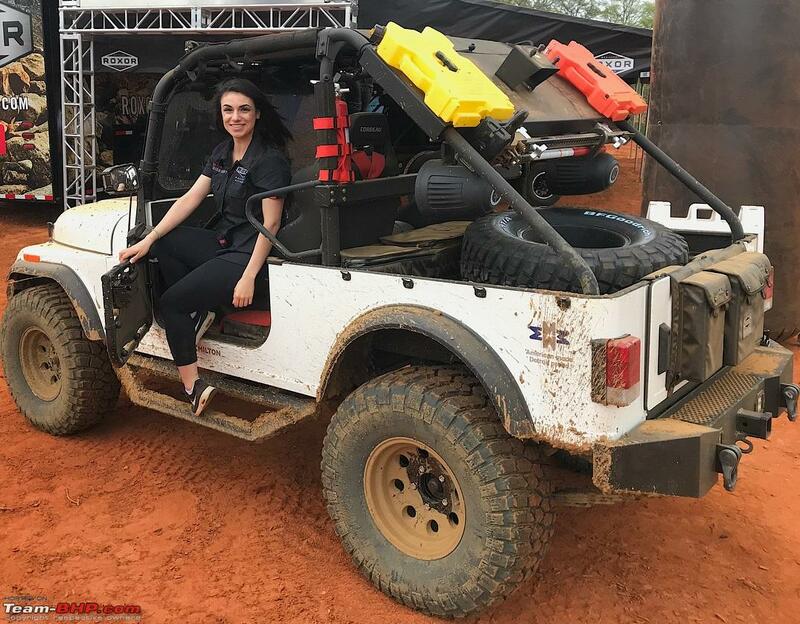 These agreements allow them to sell a version of the off-roader under their own name; some say Mahindra even bought the actual CJ5 tooling from Jeep to make some of their parts. The Mahindra MM540 is hugely popular in India; it was renamed the Thar in 2010. A Mahindra Thar gettin’ down. What is the Mahindra Roxor? Because the Thar doesn’t meet modern US safety regulations, it can’t legally be sold as a passenger vehicle. To get around that, Mahindra sells the Roxor through powersports dealers as a UTV. Where the Thar has a top speed of nearly 100 miles per hour, the Roxor is electronically limited to 45MPH to meet federal UTV regulations. The only known difference between the drivetrain of a Thar and the drivetrain of a Roxor is an electronic speed limiter, one that’s suspiciously easy to reach and unplug. Doing so doesn’t upset the ECU in any way. Good looking out, Mahindra. How Does the Roxor Drive? The Mahindra Roxor drives and handles like any old Jeep with leaf-spring suspension. It’s not a high-performance SXS and it won’t win any races even with the speed sensor unplugged, but that’s not what it’s about. It’s about going off-road in the spirit of a bygone era. Due to EPA regulations for UTVs, the Roxor’s 2.5L diesel engine is heavily detuned. But with an 18.6:1 compression ratio at your disposal, extra power is easy to come by. The Roxor forums suggest EGR block-off plates, PCV delete, and a crankcase down draft tube. Complement that cleaner burn with some free-flowing exhaust for better sound and more power. To balance out the chassis, swap in some off-road wheels and tires along with upgraded shocks. Replace the stock turbo for a serious bump in power. An ECU tune will go a long way too, but nobody’s made one yet; will it be you? Is the Mahindra Roxor Street Legal? State laws restrict how fast a UTV can travel; that limit is generally 45 MPH. They also restrict where one can travel; often that’s on roads limited to 45 MPH or less, but some states have banned UTVs from public roads entirely. It’s definitely possible to make a Mahindra Roxor street legal – and it’s pretty close to begin with. For starters, the Roxor can tow more than its own weight. Between that, the 2.5-liter engine, and the 5-speed manual transmission, it’s obvious this UTV was originally designed for much higher speeds than 45 MPH. All that’s needed to make a Mahindra Roxor go well over 70 MPH is removing the speed sensor. That’s it. What is needed to make a Mahindra Roxor street legal? A Roxor can reach highway speeds after the simple removal of the speed sensor, but more is needed to make it street legal. The Roxor already has a parking brake, horn, reflectors, seat belts, and an optional windshield. In most states, only blinkers and a 50-state-legal title, license plate, and insurance are needed to make a Mahindra Roxor street legal. Who makes street legal parts for a Mahindra Roxor? Custom six-slot grilles with blinkers are available from On the Rox and Westfab. Windshields are available as an optional extra through the dealer or from several online merchants. The Dirt Legal Store sells universal lighting kits that will fit the Roxor as well. How do you title a Mahindra Roxor? Shameless self-plug: Dirt Legal is one of the only title companies that’s experienced with all manner of off-road vehicles – UTVs, ATVs, dirt bikes, and even military Humvees. We can provide you with a title and license plate to make your Mahindra Roxor street legal in all 50 states for as little as $499. All you need is a Bill of Sale! You could be driving around in your street legal Mahindra Roxor next month! Check out our UTV Conversions page or contact us today to learn more. Dirty in a good way. The Mahindra Roxor is a powerful and well-built machine that provides the raw thrill of vintage off-roading in a familiar package. It has a simplicity and lightness that’s just not found in modern vehicles, and a street legal Mahindra Roxor is an awesome alternative to a used Jeep. It’s a formidable all-arounder whose only drawback is a lack of modern safety equipment. And since even a fully-optioned and street-legalized Roxor is under $20,000, it’s a seriously good value.